RAPAPORT... Petra Diamonds has appointed former De Beers executive Varda Shine as a non-executive director in line with a plan to refresh its leadership, the miner said Monday. 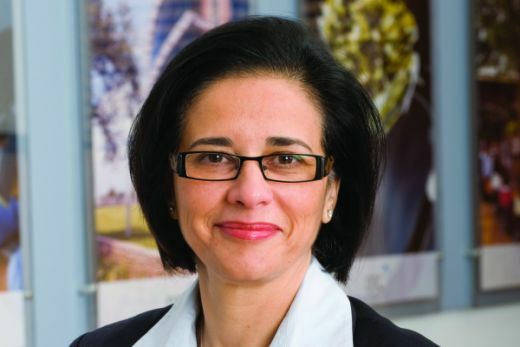 Shine was CEO of the Diamond Trading Company — now De Beers Global Sightholder Sales — between 2006 and 2014, during which she oversaw the division’s move from London to Gaborone. She is currently an independent director of the state-owned Mineral Development Company Botswana, as well as a non-executive director of miner Lonmin. In March 2017, she became an independent director of Sarine Technologies, which provides equipment and services to the diamond trade. Bernard Pryor, a former executive at De Beers parent company Anglo American, will also join Petra’s board in the same role. Both will begin on January 1. The moves are the latest step in Petra’s succession plan, through which it aims to ease the comapny’s transition from expansion to steady operations, it explained. Petra CEO Johan Dippenaar will leave, the miner said last month, and the company will review the structure of its board, committee and senior-management structures.